Just an hour and a half drive away from Vancouver, visitors will find four campgrounds, a large day-use area for picnicking and boating, and ample opportunity for fishing, water skiing, wind surfing and hiking. Cultus Lake Provincial Park is located near the small community of Cultus Lake. This community offers waterslides, two golf courses, bumper boats, go-karts, canoe, boat and jet ski rentals, marina, miniature golf, restaurants, stables, laundromat, stores and gas stations. Larger department stores are located in Chilliwack. Cultus Lake Provincial Park has two Outdoors RV trailers for rent on a daily* or weekly basis. The trailer can accommodate up to four people with a double bed and a double/single bunk bed. Linens (or sleeping bag) will be required. Please note: ATVs and other off-road vehicles (including those registered under the ORV Act) are not permitted within the park. Campers and swimmers should be aware that Swimmer's Itch may be present in Cultus Lake. For more information on the treatment and prevention of swimmers itch, check out the BC Healthfiles page. All campsite and group site reservations must be made through Discover Camping. When reservations are not available all campsites function as first come, first served. History: The park was designated to Provincial Park status in 1948. Cultural Heritage: Cultus Lake was known as Swee-ehl-chah or Tsowallie by local First Nations. Cultus is a Chinook word derived from the Salish word Kul, meaning “bad” or “worthless”. The lake was considered “bad” in an ancient First Nations legend. Conservation: The park lies in the transition zone between the Coastal Western Hemlock and Coastal Douglas-fir biogeoclimatic zones. Douglas-fir and broadleaf maple are the dominant species. Hemlock is evident in the understory, largely on the wetter east side of the lake. A recent park expansion added 202 hectares including important foreshore habitat for the endangered Cultus Lake Sockeye, and the threatened Cultus Pygmy Sculpin. Wildlife: The park provides habitat for a variety of wildlife including coyote, blacktail deer, beaver, shrew mole, and 100 species of birds. Cultus Lake contains rainbow, Dolly Varden, steelhead and cutthroat trout and all five varieties of salmon. 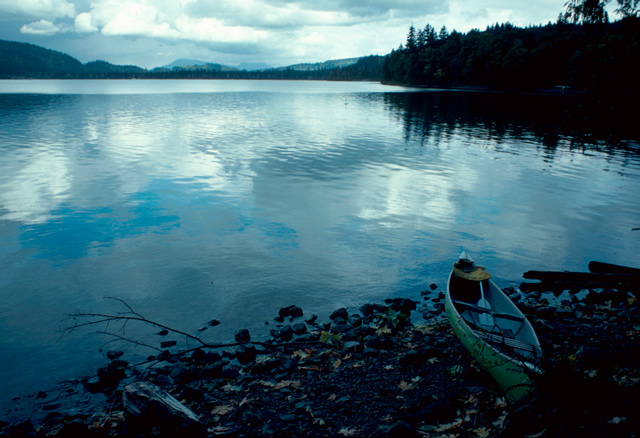 Canoes, kayaks and stand-up paddle boards are permitted on Cultus Lake. There are paddle sport services available during the summer months, view the Park Operator’s Web Page for information and rates. Bicycles are permitted on some of the Cultus Lake trails. Most specifically the Horse trails. Many of the other trails are foot traffic only. Bicycle helmets are mandatory in British Columbia. Cultus Lake provides good sports fishing for rainbow trout, cutthroat trout and Dolly Varden. Nearby Chilliwack Lake is noted for steelhead as well as whitefish and coho salmon. Anyone fishing or angling in British Columbia must have an appropriate licence. Teapot Hill Trail is located near the Honeymoon Bay group site. There are some steep sections making this trail moderately difficult. This trail is a 5 km round trip (2 hours) viewing Cultus Lake and Columbia Valley. Seven Sisters Trail connects Entrance Bay and Clear Creek campgrounds. Along the trail, stands a group of large Douglas-fir trees, once numbering seven (2 hours return). Cultus Lake Horse Trail is 20 km round trip (5 hours), traveling from Edmeston Road to Watt Creek, which joins the north and south ends of the park. The trail was closed in August 2013 due to an active landslide in the area. BC Parks installed warning signage and reopened the trail to the public, however; we strongly recommend visitors do not cross the landslide area during periods of intense rainfall. Giant Douglas-fir Trail begins 150 metres west of Delta Grove campground. The walk leads to this forest goliath and also connects with Clear Creek campground (45 minute return walk). Maple Bay Trail starts near the day-use parking lot and provides a self-guiding interpretive stroll past some of the park’s natural wonders (30 minutes). A maintained horse trail, also used by hikers and cyclists, connects Edmeston Road at the north end of the park with Watt Creek Trailhead. Please note that horses are not permitted on Road 918. The Cultus Lake Horse Trail is open all year but the parking lot is closed during the off-season. There are approximately 20 km of compact gravel and shale horse trails. Camping and stop-overs in day-use areas are not permitted with horses. Cautionary Note: The trail was closed in August 2013 due to an active landslide in the area. BC Parks installed warning signage and reopened the trail to the public, however; we strongly recommend visitors do not cross the landslide area during periods of intense rainfall. Pets/domestic animals must be on a leash at all times and are not allowed in park buildings or beach areas except for areas set aside for pets at the Shale Beach area between the Jade Bay boat launch and the Entrance Bay day-use and also in the Shale Beach area between the Maple Bay boat launch and the Maple Bay day-use. You are responsible for their behaviour and must dispose of their excrement. Backcountry areas are not suitable for dogs or other pets due to wildlife issues and the potential for problems with bears. Swim only within the buoyed swimming areas. There are wharfs available in the Entrance Bay and Maple Bay day-use areas. Beaches are sandy. Please note that there are steep, dangerous drop-offs along the lakeshore and that there are no lifeguards on duty at provincial parks. Water skiing is available on Cultus Lake. Travel on the lake is restricted to counter clockwise. There is a viewing area at the top of Teapot Hill. There are double paved boat launching ramps located at Maple Bay and Jade Bay. Jade Bay boat launch is open year-round. The Maple Bay boat launch is open during the peak season. The boat launces are open from 8 AM to dusk. There is parking available for boat trailers during the day, only. Boats cannot be left in the water or beached overnight. There is no marina or moorage available in or within the park. Boaters are cautioned to remain well clear of buoy-marked swimming areas at all times. Water skiers and jet skiers can enjoy this lake. Cultus Lake is closed to open air exhaust motors. There are no vessels allowed on certain parts of the lake. There is a speed restriction of 5 km/h at the north end of the lake as buoyed and signed. Campfires are allowed in campground areas only. Firewood can be purchased in the park or you may bring your own wood. Fees for firewood are set locally and may vary. To preserve vegetation and ground cover, please don’t gather firewood from the area around your campsite or elsewhere in the park. Dead wood is an important habitat element for many plants and animals and it adds organic matter to the soil. You can conserve firewood and air quality by keeping your campfire small. Limited burning hours or campfire bans may be implemented and some parks may use communal fire rings. Be prepared to bring a portable stove for cooking. Cold water taps for cooking and drinking are located throughout the campgrounds and day-use areas. There are four group sites available at Cultus Lake park; Two at Honeymoon Bay, each of which can accommodate 15 to 45 people, and two at “Westside,” sites A and B, each of which can hold a maximum of 30 people, and will provide an area for RVers and tenters to enjoy the lake. To get to the Westside group site: Approach from Chilliwack on Columbia Valley Hwy. approx. 7 km from Chilliwack. All group site users must check in at the Cultus Lake Gate House first to register and get camping information. Group sites are open from March 31 to October 10. Click here to book a group site or for more information. There are picnic grounds with tables and garbage containers at Entrance Bay, Maple Bay, and Spring Bay day-use areas. There are parking facilities for 700 vehicles. Changehouses are located at Entrance Bay and Maple Bay. The Spring Bay day-use area is open all year with no services. The available beaches are sandy. Entrance Bay and Maple Bay campgrounds have flush toilets. Spring Bay campground has only pit toilets. Campfires are prohibited. However, some picnic tables have BBQ stands for hibachis. There is a beach area for dogs, but they must remain on leash. There is a gate that is locked between dusk and 8:00 am during which time the day-use area cannot be accessed. Entrance Bay day-use area is open from March 31 to October 9. Maple Bay day-use and boat launch is open from June 8 to the Labour Day long weekend. Watt Creek is open from March 31 to the Labour Day long weekend. Spring Bay and Tea Pot Hill parking lots are open all year, weather permitting. Pit and flush toilets are located in all campgrounds and day-use areas within the park. There is a new playground in the Entrance Bay day-use area. A sani-station/dump is located on the roadway leading to the Maple Bay boat launch and is open only during the campsite operating season. The nearest sani-station/dump to the park is the Husky Truck stop in Sardis. There are hot showers available at all four campgrounds. Maple Bay day-use area has a cold shower only facility. There are change houses located in Maple Bay and Entrance Bay campgrounds. This park offers vehicle accessible campsites. Campsite reservations are accepted and first-come, first-served sites may be available. There are four campgrounds within this park: Clear Creek has 82 sites; Delta Grove has 58 sites; Entrance Bay has 52 sites; and Maple Bay has 106 sites. There are 19 double sites and no pull through sites. There is no parking available for extra vehicles. If no staff is available to help find a site, reserved sites are posted on the gate house board and remaining sites are on a first come, first served basis. Camping is not available if the gate is locked. There is a pay phone located at the gate house. The nearest store is in the municipality of Cultus Lake approximately 2km away. Wheelchair access washrooms are located in Delta Grove, Clear Creek campgrounds and Entrance Bay and Maple Bay day-use areas. There are wheelchair accessible pit toilets in Entrance Bay, Clear Creek and Delta Grove at both the campgrounds and the day-use areas. There is one wheelchair accessible campsite available in Entrance Bay.